Brazilian midfielder Oscar could join Shanghai SIPG, according to the rumours in English Press. 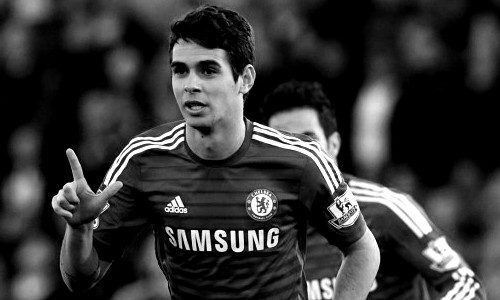 Oscar started only in five games for Chelsea this season, and is yet to score a goal. According to the rumours in England, Chelsea midfielder is set to join Chinese club in a deal in the region of 72 million euro. Brazilian international is expected to get around 420,000 euros per week with Chinese club. If the transfer is going to complete in January transfer window then Oscar will start to work again with his former Chelsea manager Andre Villas Boas.